Digital Photography Cafe – 245: Websites and Selling Solutions for Your Photography Business August 9, 2017 In this episode you’ll get a behind the scenes look at what went in to building this powerful business tool and how you can take advantage of a DPC exclusive 20% discount offer good on any Plan. Digital Photography Cafe – 243: Sony a9, the Best Mirrorless on the Market? May 1, 2017 Sony a9 full frame mirrorless, Sony’s medium format sensor coming in 2018, Fujifilm GFX professional support program, Nikon D7500, Canon’s new lenses with built-in ring lights, and Instagram “Pods” – all on this weeks episode of The Digital Photography Cafe Show. Digital Photography Cafe – 241: Canon Ends Service on DSLR and L Glass March 8, 2017 Canon CPS ends service on some major pro products, NAB Show is coming, and a chat with AlienSkin about Exposure X2 – all on this weeks episode of The Digital Photography Cafe Show. Digital Photography Cafe – 240: Canon’s New M6 Mirrorless and 77D / T7i DSLRs February 23, 2017 Canon’s new M6 mirrorless and 77D / T7i DSLRs, and we announce the winner of our WPPI 2017 Celebration Giveaway – all on this weeks episode of The Digital Photography Cafe Show. Digital Photography Cafe – 239: Adobe Kills Creative Suite and Win Over $3500 in Photo & Tech Gear February 6, 2017 Adobe kills Creative Suite 6 and announcing another huge giveaway celebrating WPPI 2017 in Las Vegas – all on this weeks episode of The Digital Photography Cafe Show. Digital Photography Cafe – 238: NuGuard KX iPhone 7 Case Review, New Lightroom Plugins January 31, 2017 Review of the NewerTech NuGuard KX iPhone 7 case, Microsoft sees 5% increase in premium market, Grids desktop Instagram app, Lightroom plugins for Instagram and WordPress, and Hasselblad CEO steps down – all on this weeks episode of The Digital Photography Cafe Show. Digital Photography Cafe – 237: What’s Your New Year’s Backup Plan? January 17, 2017 What’s your New Year’s backup plan? On this episode of The Digital Photography Cafe Show we chat about our current storage and backup solutions and what we’re going to change moving in to 2017. Digital Photography Cafe – 236: Corel Software December 8, 2016 The Digital Photography Cafe Show is happy to announce Corel Software has come onboard as a new show sponsor. 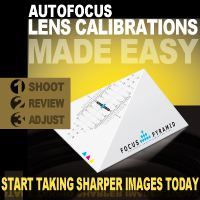 Be sure to check out AfterShot Pro 3 and all of their other great software products. Digital Photography Cafe – 235: PhotoPlus Expo Wrap-up and Giveaway Winner! November 5, 2016 The Digital Photography Cafe Show’s PhotoPlus Expo 2016 show coverage and giveaway celebration has come to an end. Digital Photography Cafe – 234: Collages – Professional Galleries, Products + Services October 27, 2016 PhotoPlus Expo 2016 coverage continues with Collages. They provide online galleries and apps to share images, sell products and market your studio and have hundreds of premium quality pro products to offer your clients. If you need a helping hand, they also offer album design, post production and consulting services. Digital Photography Cafe – 233: Corel AfterShot Pro 3, Lightroom Alternative October 27, 2016 PhotoPlus Expo 2016 coverage continues with Corel AfterShot Pro 3, an Adobe Photoshop Lightroom alternative worth considering. Digital Photography Cafe – 232: Vivid-Pix Makes Photo Editing Easy October 26, 2016 PhotoPlus Expo 2016 coverage continues with photo retouching software from Vivid-Pix. Their Restore software will help revive old photos, Land & Sea will help fix your land and underwater photos, and Scuba will take you deeper with advanced color correction and functionality. Digital Photography Cafe – 231: Lowepro PhotoStream RL and Flipside Trek Bags, Plus JOBY GripTight POV Kit October 25, 2016 PhotoPlus Expo 2016 coverage continues with the new PhotoStream RL 150 and Flipside Trek bags from Lowepro, and the JOBY GripTight POV Kit. Digital Photography Cafe – 230: ON1 Photo RAW, an Adobe Lightroom Alternative October 23, 2016 PhotoPlus Expo 2016 coverage continues with ON1’s latest software release, ON1 Photo RAW. This software works with Adobe Photoshop and Adobe Lightroom, or as a powerful standalone Lightroom alternative. Digital Photography Cafe – 229: Drobo 5C USB-C Redundant Storage for Your Photos and Videos October 22, 2016 PhotoPlus Expo 2016 coverage continues with the Drobo 5C USB-C storage device. This is a perfect entry level redundant storage solution for your photo and video storage needs. Digital Photography Cafe – 228: SpiderLight Rugged Camera System for Mirrorless and Lightweight DSLRs October 22, 2016 PhotoPlus Expo 2016 coverage continues with the SpiderLight camera mounting system from Spider Holster. Digital Photography Cafe – 227: PhotoPlus Expo 2016 Celebration Giveaway! October 21, 2016 The Digital Photography Cafe Show is celebrating PhotoPlus Expo 2016 with a huge photo gear giveaway totaling over $3,500 in prizes. Digital Photography Cafe – 226: Sony a99 II and Nikon is on a KeyMission October 8, 2016 Website design and managed hosting from CurrentPhotographer.com, Olympus OM-D E-M1 Mark II, Olympus Pen E-PL-8, Panasonic Lumix GH5, Sony a99 II, and Nikon KeyMission action cameras – all on this weeks episode of The Digital Photography Cafe Show. Digital Photography Cafe – 225: Canon EOS M5 Mirrorless Camera – First Impressions September 19, 2016 Canon EOS M5 mirrorless camera first impressions, get a free iPhone 7 from Verizon, AT&T, Sprint, and T-Mobile, and Photokina 2016 is on its way – all on this weeks episode of The Digital Photography Cafe Show. Digital Photography Cafe – 224: iPhone 7 Plus – Dual Camera First Impressions September 10, 2016 iPhone 7 Plus – dual camera first impressions, Mario Run coming to the App Store, iWork with real-time collaboration, water resistant Apple Watch Series 2, and Apple Music – all on this weeks episode of The Digital Photography Cafe Show. Digital Photography Cafe – 223: New Canon 5D Mark IV First Impressions August 26, 2016 The new Canon 5D Mark IV first impressions, Nikon D3400 with Bluetooth LE, WordPress 4.6 update for your photo website, and Amazon Prime 1-click warning – all on this weeks episode of The Digital Photography Cafe Show. Digital Photography Cafe – 222: New iPhone 7 Tech, GoPro HERO5 Leaked, Instagram Copies Snapchat August 8, 2016 iPhone 7 with new Bluetooth technology, GoPro HERO5 leaked, Instagram copies Snapchat, Olympic photographer has $40K in gear stolen in Rio, Canon’s CPS depot for Olympics, software updates for iOS and Sony a6300, Apple offers $200K bounty, and Disney Mix app – all on this weeks episode of The Digital Photography Cafe Show. Digital Photography Cafe – 221: Sony a99 Replacement Rumor, New Nikon Portrait Lens, Verizon Buys Flickr, Best Vlogging Camera August 1, 2016 Sony a99 replacement rumor, new Nikon 105mm f/1.4E portrait lens, Adobe Lightroom for Apple TV, Verizon buys Flickr for $4.8 billion, and which is better for vlogging, the Sony a6300 or the Canon 80D? – all on this weeks episode of The Digital Photography Cafe Show. Digital Photography Cafe – 220: Thunderbolt Drives, Tethered Shooting, and Becoming the Top Local Photographer July 22, 2016 New drives from G-Technology, TetherBoost Pro for USB 3.0 tethered shooting, Adobe Camera RAW 9.6.1, and how to become the “top” local photographer – all on this weeks episode of The Digital Photography Cafe Show. Digital Photography Cafe – 219: Fujifilm X-T2 4K Mirrorless, Canon 5D MK4 Specs and Medium Format Drone from DJI and Hasselblad July 15, 2016 Fujifilm X-T2 mirrorless camera with UHD 4K video, more rumored specs on the Canon EOS 5D Mark IV, DJI and Hasselblad create a medium format drone, and Sony’s new radio-controlled lighting system – all on this weeks episode of The Digital Photography Cafe Show. Digital Photography Cafe – 218: Fuji Medium Format Mirrorless, Sigma sd Quattro, Hasselblad X1D Zoom Lenses July 4, 2016 Hasselblad X1D zoom lenses are coming, Sigma sd Quattro mirrorless camera, and is Fuji coming out with a medium format mirrorless??? – all on this weeks episode of The Digital Photography Cafe Show. Digital Photography Cafe – 217: Hasselblad X1D Mirrorless Monster, CC Updates and Apple’s WWDC June 24, 2016 Apple software updates from WWDC, new features in Adobe Creative Cloud, Canon 24-105mm lens mug, Ricoh acquires Eyefi’s cloud service, Sony image sensor prototype and firmware hacks, and the Hasselblad X1D mirrorless medium format camera – all on this weeks episode of The Digital Photography Cafe Show. Digital Photography Cafe – 216: Gmail Killing Email Marketing, Pentax K-70, Instagram Business Profiles June 15, 2016 360º video catching on at weddings, Getty commits to VR, Instagram business profiles and new algorithmic feed, Pentax K-70, and free Gmail addresses will kill your email marketing – all on this weeks episode of The Digital Photography Cafe Show. Digital Photography Cafe – 215: Getting Perfect Color, Canon 5D MK4 in the Wild and Facebook 360 Photos May 26, 2016 PRT 3in1 Photo Reference Tool, Facebook brings 360 photos to your timeline, mimoLive from Boinx Software, rumored Sony press event, Canon continues with mirrorless, 5D Mark IV in the wild, and 120MP Canon on display in Shanghai – all on this weeks episode of The Digital Photography Cafe Show. Digital Photography Cafe – 214: Corel AfterShot Pro 3, Sigma E-mount Converter May 12, 2016 Sigma lens mount converter for Sony E-mount, Facebook and Twitter marketing tips and Corel AfterShot Pro 3 – all on this weeks episode of The Digital Photography Cafe Show. Digital Photography Cafe – 213: Nikon AF Fine-Tuning, Rollocam Hercules, Sigma TIPA Awards April 26, 2016 Sigma receives 3 TIPA awards for best lenses, recall on Vello BG-S3 battery grip, medium format from Sony, Rollocam’s Hercules pocket sized dolly system, Scandy 3D printed 360º photographs, and Nikon’s new automated AF Fine Tune – all on this weeks episode of The Digital Photography Cafe Show. Digital Photography Cafe – 212: Canon 5D MK4, Sony A9, Google and GoPro 360º Video April 19, 2016 Canon 5D Mark IV and Sony A9 rumors, Hasselblad H6D-100c, Vello adapts Nikon lenses to Sony mirrorless bodies, Facebook Live updates, and Google and GoPro launch the Omni – all on this weeks episode of The Digital Photography Cafe Show. Panasonic 8K Video months away, Canon price hike to Canadians, Flickr and possibly parent company Yahoo on up for sale to the highest bidder, Instagram Algorithmic Feed scare, Soccer legend Pele sues Samsung for $30 million. – all on this weeks episode of The Digital Photography Cafe Show. Digital Photography Cafe – 210: Canon G7 X MK2, iPhone SE and iPad Pro 9.7″ March 29, 2016 Google offers Nik software for free, Lexar 200GB Class 10 microSD card, Canon PowerShot G7 X Mark II, Apple iPhone SE, and iPad Pro 9.7″ – all on this weeks episode of The Digital Photography Cafe Show. Digital Photography Cafe – 209: WPPI 2016 Celebration Giveaway Winner! March 17, 2016 WPPI 2016 show coverage and our huge $4,250 photo and tech gear giveaway winner is announced – all on this weeks episode of The Digital Photography Cafe Show. Digital Photography Cafe – 208: WPPI 2016 Wrap-up – Part 1 March 13, 2016 WPPI 2016 show coverage and our huge $4,250 photo and tech gear giveaway – all on this weeks episode of The Digital Photography Cafe Show. Digital Photography Cafe – 207: WPPI 2016 Celebration Giveaway! March 3, 2016 The Digital Photography Cafe Show is celebrating WPPI 2016 with a huge photo gear giveaway totaling over $4,200 in prizes. Contestants can enter to win at contest.digitalphotographycafe.com starting March 3, 2016 through March 13, 2016. One grand-prize winner will be selected on March 14, 2016. Digital Photography Cafe – 206: Canon 80D, Adobe CC Deletes Your Data, and KelbyOne Downsizes February 22, 2016 Canon 80D and PowerShot G7 X Mark II, Adobe CC deletes your data, and KelbyOne lays off some big names – all on this weeks episode of The Digital Photography Cafe Show. Digital Photography Cafe – 205: Shooting Super Bowl 50, Sony a6300 Camera and G Master Lenses February 8, 2016 ON1 Resize 10, Sony a6300 4K mirrorless camera, Sony “G Master” fast lenses for mirrorless, Adobe Stock adds 100,000 4K video clips, extending the life of your gear, and shooting Super Bowl 50 – all on this weeks episode of The Digital Photography Cafe Show. Digital Photography Cafe – 203: Canon FullFrame Mirrorless, Olympus PEN-F, Bill Gates Sells Corbis, Sony RX1R II Recall. January 27, 2016 Rumor Mill – Is Canon slated to introduce a FULLFRAME Mirrorless Camera? Sneak peak of the brand new Olympus PEN-F 50MP Micro-4/3 Camera. Bill Gates Sells Corbis to China. Light leak forcing Sony to recall a number of RX1R II Cameras. Digital Photography Cafe – 202: Testing the Sony A7S II Mirrorless Camera with Canon Lenses January 19, 2016 On this weeks episode of The Digital Photography Cafe Show, Joseph tests the Sony A7S II full frame mirrorless camera with his Canon and Tamron lenses. Is this combination ready for professional use? You be the judge! Digital Photography Cafe – 201: Giveaway Winner and New Canon Gear for 2016 December 28, 2015 The Digital Photography Cafe Show’s 200th Episode Giveaway winner and new Canon gear for 2016 – all on this weeks episode of The Digital Photography Cafe Show. Digital Photography Cafe – 200th Episode Celebration and Giveaway November 23, 2015 Join us as we celebrate our 200th episode with a huge photo gear giveaway worth over $4,000 in prizes. Contestants can enter to win at contest.digitalphotographycafe.com starting November 23, 2015 through December 6, 2015. One grand-prize winner will be selected on December 7, 2015. Digital Photography Cafe – 199: PhotoPlus Expo 2015 Wrap-up! November 3, 2015 Drones, 4K cameras, printers, tripods, apps, gadgets and more! It’s our PhotoPlus Expo 2015 wrap-up. – all on this weeks episode of The Digital Photography Cafe Show. Digital Photography Cafe – 198: InnovationNow Summit and the Awesome EOS C100 Mark II October 18, 2015 PMA’s InnovationNow Photo Business and Technology Summit wrap-up, Canon EOS C100 Mark II and Canon XA10 HD Camcorder – all on this weeks episode of The Digital Photography Cafe Show. Digital Photography Cafe San Francisco Update. Digital Photography Cafe – 197: iPhone 6s, iPad Pro and Sony a7S II September 15, 2015 New Apple iPhones 6s and 6s Plus, iPad Pro with Apple Pencil and new Smart Keyboard, Apple TV gets apps and games, iOS9, firmware updates for Canon EOS 7D Mark II and Panasonic GH4, and Sony’s new low-light beast the a7SII – all on this weeks episode of The Digital Photography Cafe Show. Digital Photography Cafe – 196: Kickstarter Digital Holga, Adobe FREE Mobile Photo Editor, Eyefi Mobi Pro, Final Cut Pro X, Wacom New Tablet. September 8, 2015 Kickstarter Digital Holga, Adobe FREE Mobile Photo Editor, Eyefi Mobi Pro, Final Cut Pro X, Wacom New Tablet. – all on this weeks episode of The Digital Photography Cafe Show. Digital Photography Cafe – 195: Corel PaintShop Pro X8, Photographer Loses Copyright Suit and iPhone 6 Plus Recall August 25, 2015 iPhone 6 Plus recall, EOS M revamp coming in 2016, YouTube adds 1000 royalty-free audio tracks, DxO OpticsPro 10.4.3, Corel PaintShop Pro X8, online historic photo database, marketing budgets for 2015, Polarr’s Chrome and FireFox plugins, and photographer loses copyright suit on technicality – all on this weeks episode of The Digital Photography Cafe Show. Digital Photography Cafe – 193: Photo Critique, 3in1 Reference Tool, Sony’s New Patent, Amazon Photography Studio, Sony Drones July 27, 2015 Photo Critique, 3in1 Reference Tool, Sony’s New Patent, Amazon Photography Studio, Sony Drones and much much more all on this weeks Digital Photography Cafe Show!n – all on this weeks episode of The Digital Photography Cafe Show. Digital Photography Cafe – 191: Fuji X-T1 Firmware, Sony a7R II Autofocus and Disney Bans Selfie Sticks July 6, 2015 PMA’s National Photo Month photo contest, Toshiba Transfer Jet, Fujifilm X-T1 Firmware update, Sony a7R II auto focus system, Disney bans selfie sticks and White House ends ban on photography during tours – all on this weeks episode of The Digital Photography Cafe Show. Digital Photography Cafe – 190: Olympus DSL-ARM, Adobe Creative Cloud 2015 and Affinity Photo June 23, 2015 Olympus DSL-ARM campaign, Apple Watch 2, Adobe Stock and Creative Cloud 2015, DxO iPhone camera, Sony a7R II, and Photoshop alternative Affinity Photo – all on this weeks episode of The Digital Photography Cafe Show. Digital Photography Cafe – 189: When Drones Get Attacked!!! June 9, 2015 Firefighters hose a drone, Sony a7r for $199, DJI smashed by drunk, “Mirrorless” is the official name, Lensbabys for Fuji X mounts, GoPro Hero+ with LCD, and secret Nikon/Apple project – all on this weeks episode of The Digital Photography Cafe Show. Digital Photography Cafe – 188: Google Photo Service, Adobe Kills Photoshop Touch May 27, 2015 Adobe kills Photoshop Touch, Panasonic 8K cameras, Google’s new photo service, Firefox for iOS, Canon Digital Professional 4, and Leica Summicron and Summilux lenses – all on this weeks episode of The Digital Photography Cafe Show. Digital Photography Cafe – 186: National Photography Month and Fuji X-T10 May 12, 2015 May is National Photography Month, Freeze a Frame in May photo contest, Fujifilm X-T10, Fuji X-T1 firmware update, Apple security updates, Canon Rebel T6s and T6i recalls, changes at Flickr, and Adobe Lightroom 6 – all on this weeks episode of The Digital Photography Cafe Show. Digital Photography Cafe – 185: Time Cover, Canon 6D Mark II, Leica M Monochrom, GimpShop, Periscope May 4, 2015 Instagram Photo turned into Time Magazine Cover, Canon 6D Mark II around the corner, Leica’s New Monochrom Type 246, Photoshop Alternative GimpShop, and Periscope – all on this weeks episode of The Digital Photography Cafe Show. Digital Photography Cafe – 184: NAB Wrap-up, FotoKite, and Red’s New ‘Weapon’ April 21, 2015 Our 2015 NAB Show wrap-up, FotoKite drone, Canon EOS M3, Apple buys LinX, Blackmagic 4K Micro Cinema, and Red’s new 8K Weapon – all on this weeks episode of The Digital Photography Cafe Show. Digital Photography Cafe – 183: How to Migrate to Apple’s Photos App, XC10C, Premiere Pro April 13, 2015 NAB 2015, how to migrate to Apple’s Photos App, Canon’s new Video Camera XC10, new Adobe offerings, Nikon to release latest firmware providing more video functionality, and LinkedIn acquires Lynda.com – all on this weeks episode of The Digital Photography Cafe Show. Digital Photography Cafe – 182: Fuji Pro Rental Service, Nikon 1 J5 and Pictage Spins-off Printing April 6, 2015 Samsung making iPhone A9 processor, Office Lens app, Fuji’s Pro rental service, Nikon 1 J5, Pictage says print sales are dying, Phase One’s 80MP drone camera, and Microsoft Surface 3 – all on this weeks episode of The Digital Photography Cafe Show. Digital Photography Cafe – 181: Sony A7rII, Amazon Cloud Drive and Canon 4K Video Camera March 30, 2015 Instagram Layout app, Sony A7rII, Amazon Cloud Drive, Canon 4K video camera, the importance of mobile-friendly to search results, Apple’s 3 sensor camera, and Inklet App for Mac Force Touch trackpads – all on this weeks episode of The Digital Photography Cafe Show. Digital Photography Cafe – 180: FCP Resurrected and New Lightroom Update? March 23, 2015 Camera RAW 8.8, new Lightroom update, MacBook with USB-C, Apple’s smartphone trade-in program, Flickr’s new search, Amazon testing delivery drones, Final Cut Pro X resurrected, and switching from Canon 5D Mark 3 to Fuji X-T1 – all on this weeks episode of The Digital Photography Cafe Show. Digital Photography Cafe – 179: WPPI 2015 Wrap-up March 16, 2015 WPPI 2015 conference and trade show wrap-up – all on this weeks episode of The Digital Photography Cafe Show. Digital Photography Cafe – 178: Websites for Photographers and Olympus OM-D E-M5 Mark II February 16, 2015 Current Photographer’s new DIY portfolio/e-commerce website solution, 17hats business management, app and the Olympus OM-D E-M5 Mark II – all on this weeks episode of The Digital Photography Cafe Show. Digital Photography Cafe – 177: Canon 5DS / 5DS R and WPPI 2015 February 9, 2015 Listener questions about the Canon 24-70mm 2.8 L lens, WPPI 2015, and the new Canon 5DS and 5DS R bodies – all on this weeks episode of The Digital Photography Cafe Show. Digital Photography Cafe – 176: Adobe Kills 32-bit Lightroom February 2, 2015 Must have lenses for professional photographers, Adobe says 32bit is dead, Canon cloud service Irista, and Tamron 15-30mm – all on this weeks episode of The Digital Photography Cafe Show. Digital Photography Cafe – 173: What Was Hot in 2014 – A Year In Review December 31, 2014 We take a look back at the hot products, services and topics from 2014 in our year-end wrap-up – all on this weeks episode of The Digital Photography Cafe Show. Digital Photography Cafe – 172: 3D Presidential Portraits, Canon’s 2015 Mirrorless, Panlight Motion Remote December 8, 2014 3D printed presidential portraits, Canon mirrorless for 2015, Gmail Mac app, Panlight flash and camera motion remote, and Apple plans for virtual reality – all on this weeks episode of The Digital Photography Cafe Show. Digital Photography Cafe – 171: Corel AfterShot Pro 2 vs. Adobe Lightroom 5 November 25, 2014 Joe gives us a side-by-side comparison between Corel AfterShot Pro 2 and Adobe Lightroom 5 in a typical workflow environment – all on this weeks episode of The Digital Photography Cafe Show. Digital Photography Cafe – 170: Corel AfterShot Pro 2, First Impressions November 16, 2014 Corel AfterShot Pro 2 first impressions – all on this weeks episode of The Digital Photography Cafe Show. Digital Photography Cafe – 169: 2014 PhotoPlus Expo Recap November 4, 2014 2014 PhotoPlus Expo conference and trade show recap. We chat about some cool new products and services introduced at the show – all on this weeks episode of The Digital Photography Cafe Show. Two Pro tips to make more money as a photographer, Adobe gives Apple users a quick and easy way into the AdobeSphere, Corel Aftershot 2 Lightroom Alternative?, Pixelmator for iPad, LaCie New Rugged External Beauty and more! – all on this weeks episode of The Digital Photography Cafe Show. Alternate backup solutions and our obligation to safely store client files – all on this weeks episode of The Digital Photography Cafe Show. Loyal listener Fred Pfeifer calls in with his review of the Sigma dp2 Quattro compact camera – all on this weeks episode of The Digital Photography Cafe Show. Lightroom 5.6 now available, Apple “Dreams” commercial, firmware update causes 3rd party battery failure, and is Photoshop compositing cheating? – all on this weeks episode of The Digital Photography Cafe Show. Nikon D810, Doug Gordon caught plagiarizing, Apple kills Aperture, Photoshop for Windows Phone, Android L with RAW support, and fireworks filmed with a drone – all on this weeks episode of The Digital Photography Cafe Show. 2014 Adobe Creative Cloud update, Lightroom Mobile now on iPhone, Photoshop Mix iPad app, Lightroom 5.5 update, Camera RAW 8.5 with added features, FREE iOS apps and AirDog auto-follow drone for GoPro cameras – all on this weeks episode of The Digital Photography Cafe Show. Google satellite internet, Adobe Creative Cloud updates, iStick USB flash drive, Canon Irista cloud storage, iOS 8 camera updates, Nova iPhone wireless flash, and Samsung DSLR Ditch Day – all on this weeks episode of The Digital Photography Cafe Show. Cactus V6 flash triggers, Canon 16-35mm F4L lens, Nikon 1 J4 with waterproof accessories, Sony 7S pricing announced, Adobe Creative Cloud goes down, Free Adobe CC alternatives and ProCam 2 iOS camera app – all on this weeks episode of The Digital Photography Cafe Show. Amazon patents shooting method, FlashQ remote triggers, Instagram sunglasses, Samsung NX3000, Chrome remote desktop, live video streaming from the space, and Galaxy Note 3 vs. 5D MK3 video comparison – all on this weeks episode of The Digital Photography Cafe Show. Thinking creatively with your photography – all on this weeks episode of The Digital Photography Cafe Show. Windows XP support ended, Camera RAW and DNG Converter 8.4, Lightroom 5.4 and mobile iPad version, Sony A7s, Canon recalls and customer service issues, and Apple is unhappy with their Ad Agency’s performance – all on this weeks episode of The Digital Photography Cafe Show. Panasonic wearable action camera, Blackmagic camera self-combusts, 1.8 million Adobe Creative Cloud users, BSA pirates photo for ad, Drobo Gen3, Nikon to replace D600s and changes to the show video – all on this weeks episode of The Digital Photography Cafe Show. China bans Nikon D600 sales, Lexar CF compatibility issues, Samsung NX Mini, funny Samsung tablet ad, Oppo Find 7 and LifePrint Kickstarter program – all on this weeks episode of The Digital Photography Cafe Show. NYPD grounds drone, Getty parts ways with Flickr, Sigma must pay Nikon 14.5 Million for patent infringement, a look at the Nikon 1 V3, Calumet files Chapter 7 and Model will have her day in court after filing lawsuit against Getty – all this and much more on this weeks episode of The Digital Photography Cafe Show. DENdroid Infects Android Google Play Apps, Sony 7 & 7R Light Leak Trumps Firmware Update, Getty Gives All Their Archive Away For Free, Drones Now Legal, 500px’s Prime New Sales Model, Hasselblad 50MP MF Camera – all on this weeks episode of The Digital Photography Cafe Show. Lightroom for iPad, Photoshop CC updates, GoPros on Conan, Spark Camera, Apple iPad Ad, Kickstarter pinhole camera, and Google image search update – all on this weeks episode of The Digital Photography Cafe Show. Holiday wishes and some changes in show format – all on this weeks episode of The Digital Photography Cafe Show. Sigma lenses not compatible with Nikon D5300, $9.99 Adobe Creative Cloud for photographers, Instagram now on Windows Phone 8, 2TB LaCie rugged drive, and Samsung to pay Apple $290 million in damages – all on this weeks episode of The Digital Photography Cafe Show. Twitter’s visual Tweets, iPad Air delivers claimed speeds, iPhone 5s battery problems, Adobe hack bigger than reported, 5D Mark III firmware update, Google+ enhances photos, iON rugged video camera – all on this weeks episode of The Digital Photography Cafe Show. WPportfolios.com – WordPress powered websites for photographers, Nikon D610, Zeiss Otus 55mm f/1.4 lens, Pentax K-3, and PhotoPlus Expo – all on this weeks episode of The Digital Photography Cafe Show. Facebook rolling out status update editing and searching, Twitter focuses on photos, wedding photographer scams couples out of $140K, Sony full frame ILCs, guests ruin wedding photos, and 2.9 million user’s information compromised in Adobe CC hack – all on this weeks episode of The Digital Photography Cafe Show. iOS7 bugs, Lightroom 5.2 available, Nikon 1 AW1, awkward wedding photography mistake, and get Google’s QuickOffice for free – all on this weeks episode of The Digital Photography Cafe Show. New iPhones, bluetooth flash for your smartphone, Sony releases API for their cameras, Olympus E-M1, SanDisk 256GB CF card, Facebook ToS changes an autoplay videos, Instagram hits 150 million users and the first Hasselblad store – all on this weeks episode of The Digital Photography Cafe Show. How to become a Google Trusted Photographer, Nikon replacing the D600, Acer’s 4K smartphone, new Adobe Creative Cloud option for photographers, Ad jobs being eliminated, Nikon COOLPIX P7800, new photo sharing service called Pressgram, and a lesson for all photographers – all on this weeks episode of The Digital Photography Cafe Show. Fujifilm discontinues film, Loom.com photo and video storage, Apple’s Ad-Free TV, should you work for free, Rachel Wolf’s father daughter dance and Featured Photographer Curtis Wiens – all on this weeks episode of The Digital Photography Cafe Show. Listener comment about micro 4/3 cameras, Windows slashing prices on their Surface RT and Pro tablets, and Joe finds major bugs in the Lightroom 5 upgrade – all on this weeks episode of The Digital Photography Cafe Show. A new mail app for your Mac called Airmail, Adobe Photoshop Lightroom 5 available for purchase, Twitter kills API v1, and new product announcements from Apple’s WWDC event – all on this weeks episode of The Digital Photography Cafe Show. Twitter two-step authentication, Facebook verified pages and securing email, the lifeline of your photography business – all on this weeks episode of The Digital Photography Cafe Show. WordPress turns 10 this week, Streaming Media East trade show, chromakey ring light, summertime travel photography and an essay on “The Constant Moment” – all on this weeks episode of The Digital Photography Cafe Show. This week we’re celebrating our 100th episode with a great sponsor giveaway, we chat about some new things we’re planning and play some listener voicemails – all on this weeks episode of The Digital Photography Cafe Show. Canon Kiss X7, social networks stripping your photo metadata, Photoshop Touch for iPad Mini, and Google Voice/Skype phone hack – all on this weeks episode of The Digital Photography Cafe Show. 140MP images with Sony NEX and RhinoCam, WooCommerce 2.0, Wacom Multitouch Tablet, Blackmagic Cinema Camera, and are creative filter plugins cheating? – all on this weeks episode of The Digital Photography Cafe Show. Rosh Sillars returns, Canon EOS T4i/650D Digital Field Guide, Green Sprout Forum, Twitter hacked again, disabling Java to protect your security, using Facebook Promoted Posts to grow your business and creating infographics with Easel.ly – all on this weeks episode of the Digital Photography Cafe. How much to charge for your photography, optimizing your photos for WordPres, Raspberry Pi micro computer, Samsung Chromebook, and Twitter updates photo and video viewing – all on this weeks episode of the Digital Photography Cafe. Tips to connect with your customers from behind the camera and from behind the computer – all on this weeks episode of The Digital Photography Cafe Show. CES 2013 Coverage: Canon PowerShot N, LG’s Smart Home, Polaroid Android-based Interchangeable lens cameras, Cononical’s Ubuntu Phone OS and Panasonic’s 20-inch 4K Windows 8 Tablet – all on this weeks episode of The Digital Photography Cafe Show. This is our last show of the year. We want to thank all of our listeners and viewers for their support throughout the year and wish you a great holiday season. Of course we couldn’t end the year without talking about the big Instagram TOS change. Will.i.am from the Black Eye Peas introduces a new iPhone Camera Attachment, a UK bill threatens photographers’ copyright and how to WOW your customers – all on this weeks episode of the Digital Photography Cafe. The Nikon D5200, Twitter password reset emails, Pinterest Secret Boards, how to add custom thumbnail images to your YouTube videos and tips for cleaning your computer’s hard drive – all on this weeks episode of the Digital Photography Cafe. Google laptop for $249, another print magazine bites the dust, 4K video camera from GoPro and tips to steady your long lens – all on this weeks episode of the Digital Photography Cafe. Using Social Proof to grow your photography business and color calibrating your workflow – all on this weeks episode of the Digital Photography Cafe. How to add Google Maps to iOS6, the Leica M, lossy DNG and Responsive Website Design – all on this weeks episode of the Digital Photography Cafe. Watch us on TiVo, Canon EOS 6D, tips to enjoy photo walks and new Twitter profile pages – all on this weeks episode of the Digital Photography Cafe Show. iPhone 5 for photographers, iPhone UDID hack, Nikon D600, Sony DSC-RX1 and PPE 2012 sponsor opportunities – all on this weeks episode of the Digital Photography Cafe. We’re going to PhotoPlus Expo 2012, Fujifilm X-Pro1, photography fair use, new Twitter widgets and Joe’s 3 C’s of positive subject interaction – all on this weeks episode of the Digital Photography Cafe. Social media spam and tips for making sharper photos in camera, not in post – all on this weeks episode of the Digital Photography Cafe. Nikon’s Android powered point-and-shoot, Google+ custom URLs, portfolio websites and TimThumb security hack – all on this weeks episode of the Digital Photography Cafe. Apple’s new patents, glass matters, how to get B2B leads with social media, and tips for shooting a male headshot – all on this weeks episode of the Digital Photography Cafe. Increase B2B leads with LinkedIn, why Google Places may not be right for you, and the best batteries for your camera – all on this weeks episode of the Digital Photography Cafe. Olympic photography, mirrorless ILCs, the paradox of choice and building your business with B2B networking – all on this weeks episode of the Digital Photography Cafe. MacMall Makeover, Canon EOS M mirrorless camera, and shiny new objects – all on this weeks episode of the Digital Photography Cafe. Tools to know when your website is down, buying a camera bag suggestions, more on copyright and the Nikon D800 vs. the Hasselblad H4D-40 – all on this weeks episode of the Digital Photography Cafe. How many shutter releases does your camera have, interesting smartphone usage stats, and what lens should I use – all on this weeks episode of the Digital Photography Cafe. Digital Photography Café Video hits #18 on iTunes, offset printing for photographers and how to edit Facebook comments – all on this weeks episode of the Digital Photography Cafe. Polaroid’s new instant camera, Twitter Follow suggestions in your email and Facebook scheduled Status Updates – all on this weeks episode of the Digital Photography Cafe. The new WordPress 3.4 update and lighting for the shadows – all on this weeks episode of the Digital Photography Cafe. New WordPress plugin from Facebook, Wacom makes a Splash and Scott Kelby is done with Drobo – all on this weeks episode of the Digital Photography Cafe. WWDC is on the way, Rebel T4i, a bad week for LinkedIn and are you giving away your copyrights? – all on this weeks episode of the Digital Photography Cafe. Sitting at your desk all day is slowly killing you and a new marketing opportunity with Facebook Promoted Posts – all on this weeks episode of the Digital Photography Cafe. The business side of Facebook, a portfolio solution in your pocket and some cool photo gear at great prices – all on this weeks episode of the Digital Photography Cafe. Personal branding – making yourself memorable and when should you use a tripod – all on this weeks episode of the Digital Photography Cafe. Cool new products announced at the National Association of Broadcasters (NAB) show and tips on how to get paid faster – all on this weeks episode of the Digital Photography Cafe. Facebook buys Instagram and launches Groups for Schools, Google Drive and backing up your files onsite and off – all on this weeks episode of the Digital Photography Cafe. Speaking gigs, Photoshop CS6 and should your photography business be niche – all on this weeks episode of the Digital Photography Cafe. This week Trevor Current and Joseph Cristina talk about the new Timeline design coming to your Facebook Pages and some thoughts about the new Canon 5D Mark III DSLR.